Take Your DISC Assessment Today! 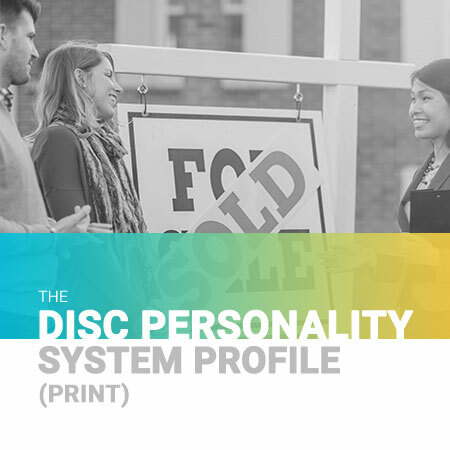 Through DISCInsights.com, when purchasing any eDISC Profile, or online interactive DISC Test and a DISC Report delivered as a PDF for repeat viewing, you will be taking a DISC test with 24 questions. Each question requires two answers, therefore you will need to answer 48 times. For each of the 24 questions, there is a column for which answer is MOST like you and which answer is LEAST like you. You will need to answer two times for each question in order to complete your test and cannot answer the same item for both MOST and LEAST. Once you've completed your DISC test, you will be able to download the PDF of your report immediately. - This focuses on how one's personality style and communication style directly impacts their sales style. It includes descriptions for how different styles want to be sold to and tips for adapting one's selling style to meet the needs of the customer. - This focuses on one's personality style especially in the areas of organization, prefered environment, communication needs or fears, and confrontation or fear of conflict to show one's specific style and needs in the workplace. - This focuses on one's personality style as it applies to different career clusters. Find out which career cluster best suites you and see lists of specific jobs within those clusters. - This focuses on your personality style as it applies to motivation. If you know what motivates you, then you can create a fitness plan that will continue to keep you motivated. - This focuses on your personality style as it applies to communication with a loved one, body language, being confrontational or non-confrontational, and how different styles general show love and need to be shown love. - This human behavior assessment focuses on one's style of thinking, especially as it applies to a group. TEAMS is an acronym for the 5 thinking styles: Theorist, Executor, Analyst, Manager, and Strategist. An ideal team would be composed of each of these five style. - This human behavior assessment focuses on one's internal motivators, especially in the workplace. These motivators directly influence the way we make decisions. The four values styles are Personal Freedom, Loyalty, Equality and Justice. Matching workplace values to a work environment is crucial for employee satisfaction and oftentimes retention. - This human behavior assessment focuses on one's learning style, or how they best receive information. The three perceptual styles are Visual, Auditory, and Kinesthetic. - This human behavior assessment focuses on one's thinking style, or how they best process information. The four styles are Literal, Intuitive, Theoretical, Experiential. - This human behavior assessment identifies 20 different kinds of spiritual gifts and four areas of motivation. When applied to a church or volunteer environment, this report lists 300 possible areas of service.